Serving the Lakes Region since 1997. 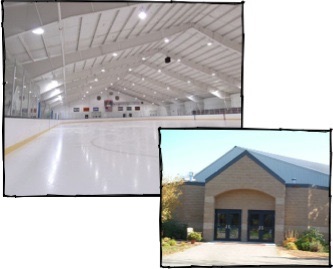 Here is a listing of local rinks with links and information about public ice where available. Public ice is rare. Check with the school for special events. Laconia Public Ice Schedule--posted in September, check the web site for skating times and prices. Route 93 Exit 25, take 175A towards Plymouth; on your left past the Irving station--you can’t miss it! hockey schedules. Check the schedule regularly. This link will take you to the public skate schedule which is published every two weeks. The schedule changes often so check often.